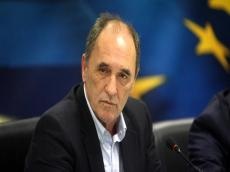 Implementation of the Trans Adriatic Pipeline (TAP), which envisages transportation of Azerbaijani gas to Europe, is among four objectives of the Greek government, Trend reports citing Greek Minister of Environment and Energy Giorgos Stathakis as saying. 2) Linking the Greek market to the Balkan markets of Europe and the Eastern Mediterranean through major infrastructure projects such as the TAP, IGB and East Med pipelines. 3) Promote diversification of gas supply sources and routes so as to further strengthen the country's energy security.